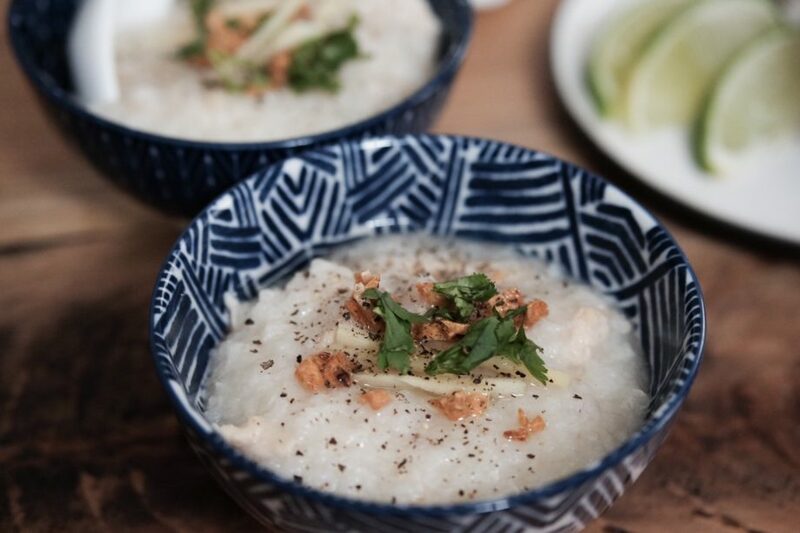 One of my favorite comfort foods is cháo (pronounced similar to chow) and is also known as congee or rice porridge. My mom would make this when I was sick so I associate it as food for the body & soul. 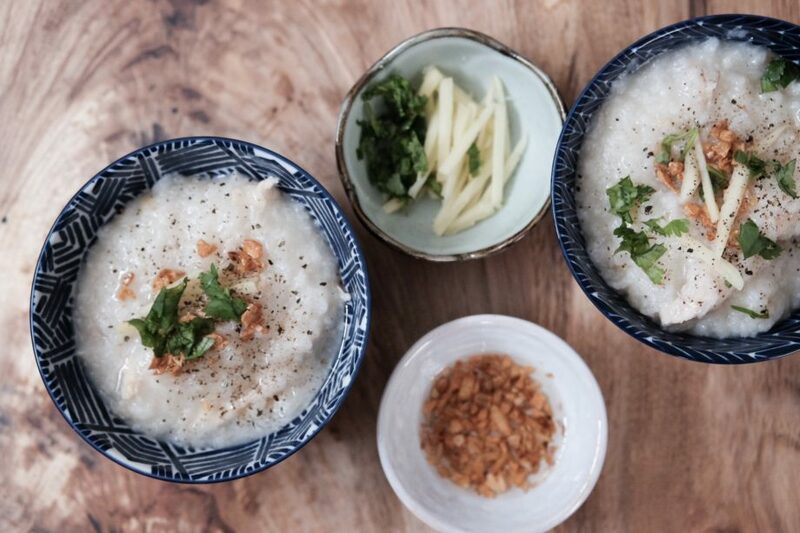 Cháo is essentially soupy rice and can be made with different proteins, most commonly with fish or chicken. 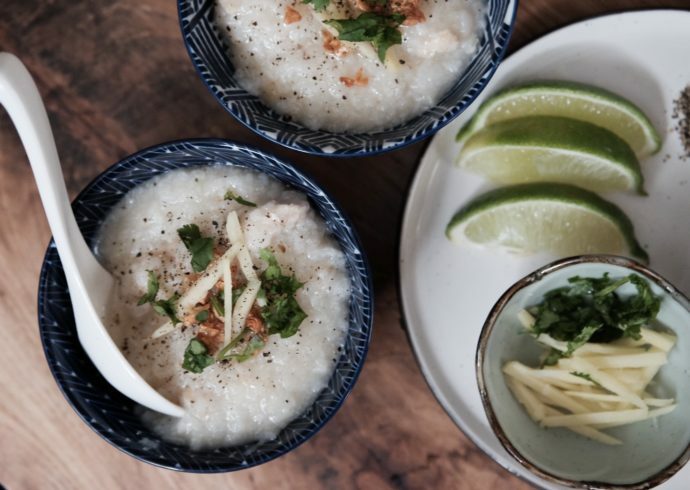 It is an easy dish to make and can build up a lot of cooking confidence, especially if you’re learning how to cook Vietnamese cuisine! I enjoy a thick consistency, but some like it thinner. 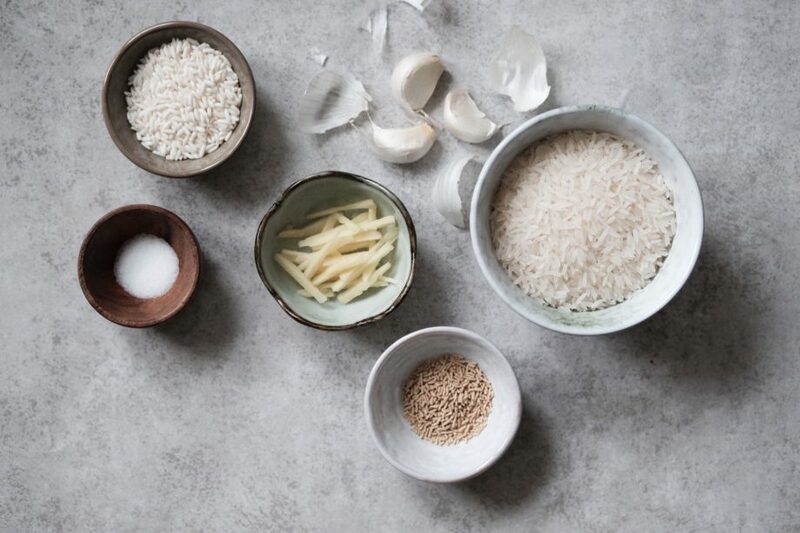 A recommendation ratio of rice to water is 1:5, but with cooking and resting time the cháo will become thicker. You can always add more water as you go to thin it out. My mom has some extra steps that she swears makes all the difference with flavor so I followed her tips! I have not eaten the Chinese style or other versions before so I cannot speak much about them. toppings: cilantro, ginger, black pepper, lime, fried garlic, lime. For the topping: chop up cilantro and julienne ginger. Other delicious additions are chili oil and a half boiled egg! That’s it! Scoop into bowl, add your favorite toppings, and enjoy!